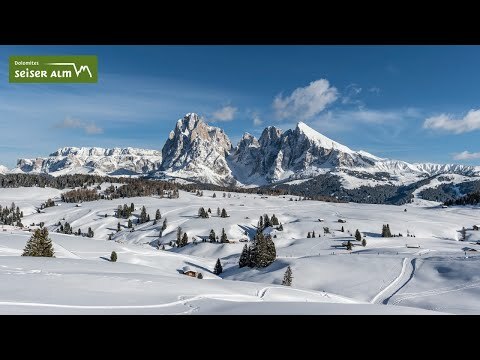 Hotel Seelaus – Your Hotel at Seiser Alm at 1.800 m: located directly at the slopes and the hiking paths you'll enjoy a wonderful panoramic view and recreational holidays in a perfectly equipped 3-star hotel. We have created a special ambience of quietness, relaxation and recreation with some luxury and a homely atmosphere. The 35 rooms and suites are comfortably furnished and all of them have a balcony. You can relax in the vital oasis with pool, sauna area, shower paradise, hay chairs, Kneipp basin, relaxation room and pasture garden. Our chef de cuisine Walther will spoil you with culinary highlights: not only does he bake the bread, but also pasta dishes, apple pie and other delights are home-made. 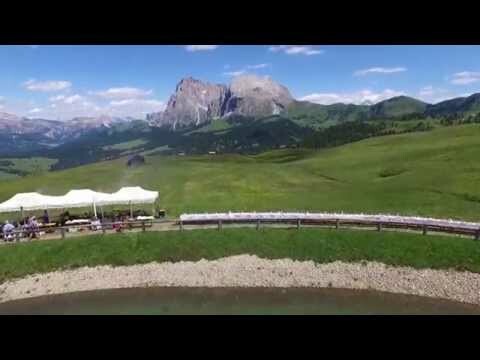 Welcome to the nature idyll Seiser Alm in the South Tyrolean Dolomites. Amidst a nature resort you can experience pure nature, numerous hiking paths and bike trails, and ski slopes for your winter adventures. Here at the biggest high-alpine pasture in Europe - as big as 8,000 soccer pitches!! - enjoy carefree holidays according to your own preferences: sleeping, enjoying the sun, enjoying the day! Sommer - Simply great... the quietness, the scent of hay, the fantastic view of Schlern Mountain and the sun.